This cyberpunk-inspired game takes place during the year 2027, 25 years before Deus Ex. Nanotechnological augmentations have yet to be developed and biomechanical augmentations are the current state of the art. 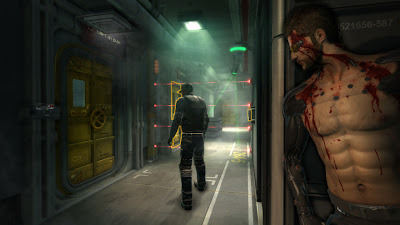 The main protagonist, Adam Jensen is a private security officer with Sarif Industries, a leading company that specializes in human augmentations. After he witnesses an attack on his company which leaves him horrifically injured and forced to undergo augmentation to survive, the conspiracy begins. 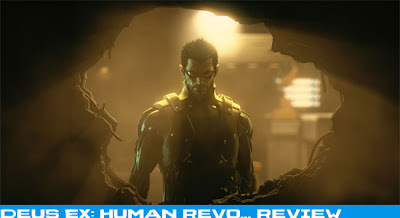 The triumphant return of the long awaited Deus Ex series has come, but was it really worth the wait? This game has a deep story line covered with conspiracy and choice making which will have you second guessing everything you do. There is plenty to do and the skill trees are very deep and offer unique game changing variety. Deus Ex is very pristine which makes the entire experience enjoyable. It also offers very open ended maps, though there is some limitation to what can be discovered. With plenty more story to be told I can only expect a handful of DLC. One of the biggest issues by far was the noticeable lack of AI. This eliminates the need for stealth really and since there are skills dedicated to that specialty it definitely seems like a flawed design. It also brings the game to a simplistic level thus making boss fights seem more like a chore and less like an epic experience. 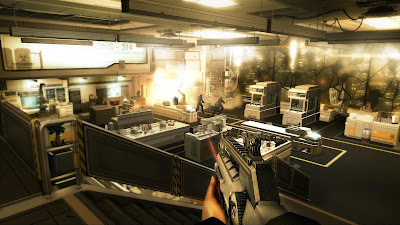 Deus Ex also suffers from a dated look and drastically long load times, that is even considering the sheer scale of the game. There were also a couple control quirks which made stealthing even more difficult. My time with Deus Ex was thoroughly enjoyed even though I rarely played the games previous to it. The lack of multiplayer was not surprising, but would have been a nice addition. The voice work was a bit annoying at times but that was more my personal issue than a game flaw. There is a lot to love and I think Deus Ex did a great job of living up to the hype. With some DLC support this game has potential to greatly increase sales.